Official Mascara Correspondent Ashleigh Ciucci takes Kevyn Aucoin The Essential Mascara for a test-drive this week. How does she fare? Find out. Kevyn keeps is simple when it comes to mascara; the brand offers The Volume Mascara, The Curling Mascara and now The Essential Mascara. 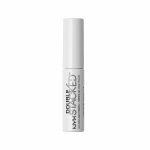 TEM is like two mascaras in one: it lifts, curls and adds tons of weight and volume. 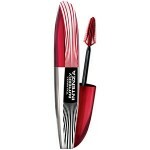 Its brush is curved yet has three fluffy sides and flat side that holds onto a wealth of the formula. Because of this, one coat packs the punch of two. 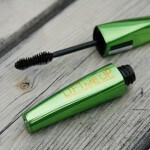 The product doesn’t dry too quickly, so you’re able to really work it into your lashes from base to tip. My lashes are thick and curled with a nice clumping quality. However, once dry, it’s pretty set so a second (or midday touch-up) coat isn’t really in the cards. It wears really well and doesn’t flake because of its tube technology pigment. With tube technology, it coats and seals each lash; therefore when you remove at the end of the day by massaging with soap and warm water, the tubes slip off your lashes. Remember, you are not losing your lashes! 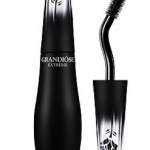 This is a great do-everything mascara: buy it!